What is sumi-e? 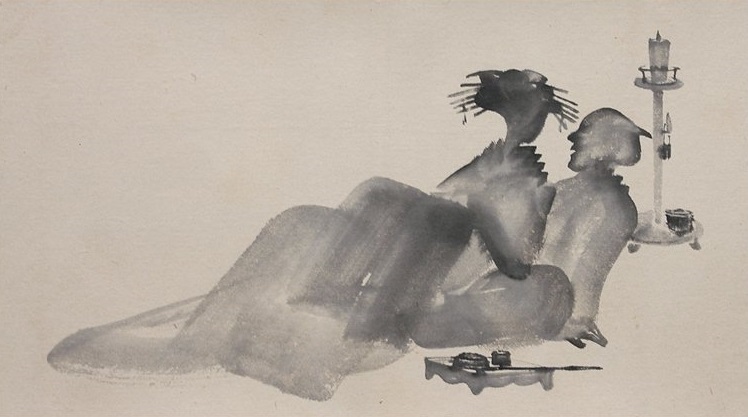 The Japanese word sumi-e is made up of the words for “black ink” (sumi) and “picture” (e). What is called sumi-e, then, is the Oriental art form in which pictures are painted with black ink. But does this mean that any such picture can be called sumi-e? No. 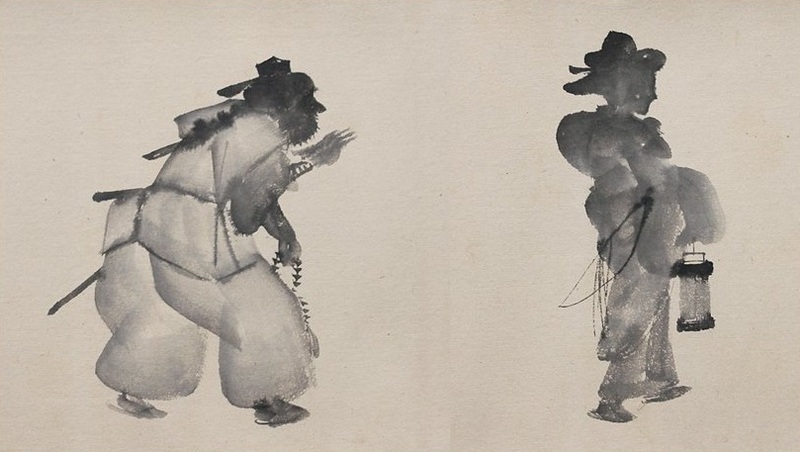 To be sumi-e, a black ink painting must be like a thing alive with the power to stir the hearts and emotions of all who see it. For the painting to live, every line and even every dot within it must live. And the lines that are said to live in sumi-e are the lines that remain after everything unnecessary to the subject has been excluded from its portrayal. Sumi-e, in other words, communicates the essence of nature. Knowing how to paint and so remove from your subject everything but its life and essence is perhaps the most important thing about this art form. The real meaning of sumi-e can be found in this, which is beauty condensed and distilled. Here too, is found the spirit of Zen. 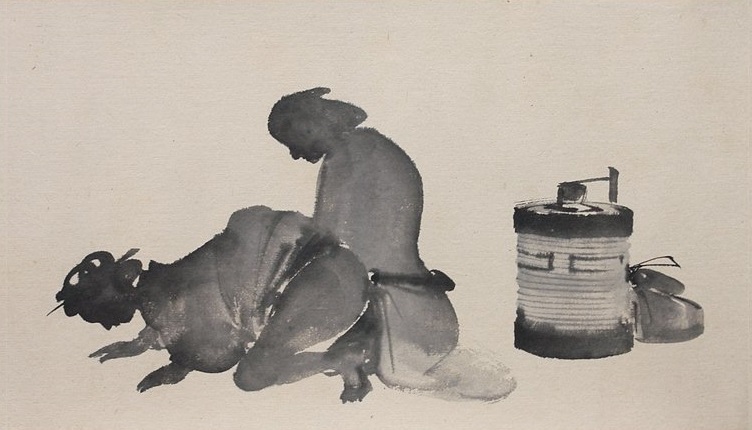 Sumi-e was brought to Japan by Zen priests, and it is easy to understand its appeal to them. For in sumi-e, as in Zen, nothing is wasted and the world is expressed in a language reduced to the farthest, most essential limits. In Zen, what expresses reality may be a single word after hours of silent meditation. In sumi-e, it is a few bold lines on a pure white paper. Let us see what happens when the artist paints a bamboo tree. First, he faces the blank paper before him. He sits up straight and stares deeply into the paper’s white surface. One by one, the thoughts that normally occupies his mind grow still and dissapear. For him, there is nothing but the paper. And then there appears somewhere within him a trunk, and branches, and he hears the sound of thin, delicate leaves as they stir gently in the wind. He takes up his brush and lets his hand move naturally, unconciously, as he paints. Gradually he finds the same bamboo he saw in his mind’s eye fill out and take shape on the paper before him. Here is a painting that truly lives. 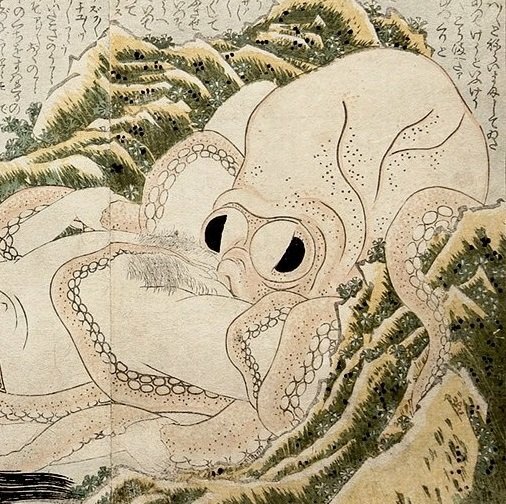 The pictures of the paintings that are included in this article are from a scroll that is available for sale and has been treated in an earlier post (including all the paintings!). You can find it HERE..!! !